Do you know the history behind baby carrots? This is one of my favorite stories about industry disruptors and changers. Baby carrots haven’t been around all that long. 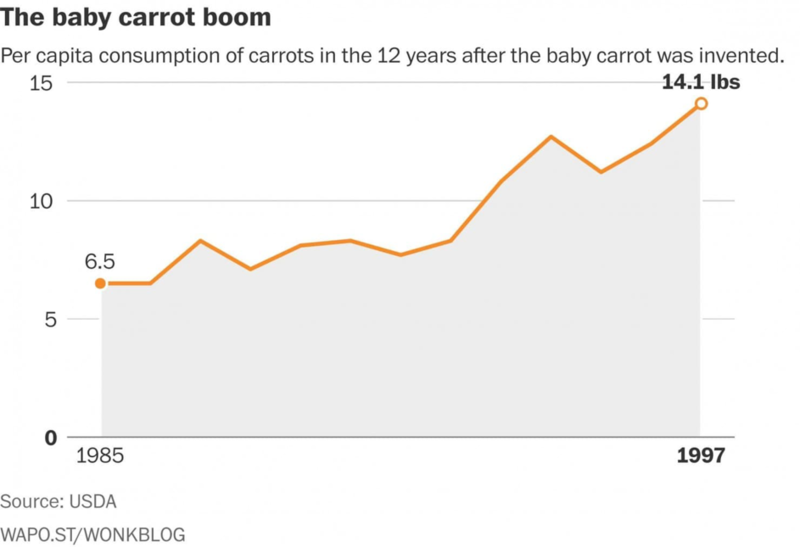 In fact, baby carrots have only existed since 1989. How is that possible? You would think they would have been around ever since the first carrot was grown. 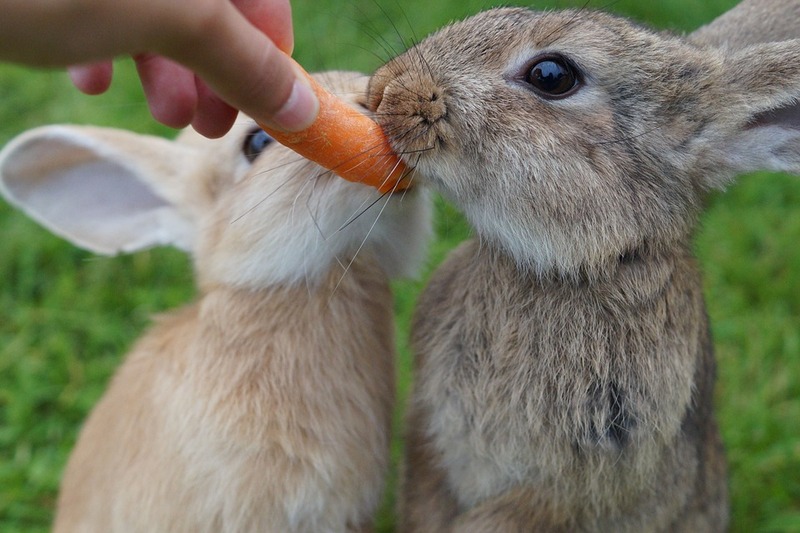 Do you know how baby carrots are made? Baby carrots were invented by Mike Yurosek in 1986. That’s right — they were invented. Yurosek grew carrots and was tired of all the waste generated year after year, so he invented a way to cut big carrots into two to three small pieces and remove the skin. After working out the kinks in the process, he called up one of his best customers — Vons, a grocery store chain founded in Los Angeles — and asked the grocers what they thought. Vons loved Yurosek’s invention so much, they asked Yurosek to send only baby carrots from then on. Not only did Yurosek invent the baby carrot, but he also disrupted an industry. In the 12 years after Yurosek invented baby carrots, the amount of carrots consumed per person increased from 6.5 pounds per year to 14.1 pounds. That’s a 117% increase. One man single-handedly changed the carrot industry forever. Amazing! Another recent disruption is Amazon’s purchase of Whole Foods, which just happened a little over one year ago. According to an article in The Wall Street Journal, companies that thought they had five to seven more years to develop a home delivery system of their products are now thinking it may be here sooner, thanks to Amazon’s purchase. Already, Whole Foods’ sales have increased over the last four quarters. A major part of that is the price reduction they were able to implement for customers, allowing more people to try shopping at Whole Foods. Now, other retail food companies are being forced to rethink their approach. This could be the disruptor that changes the way we buy our groceries in the future. Only time will tell — but it seems obvious that in the next five years, we won’t be shopping for groceries the same way we once did. If you want to read more about the Amazon and Whole Foods deal, click here. If you want to learn more about the origin of baby carrots, click here.